We drank a lot of iced coffee when we were in Tokyo earlier this year. The recent warm weather has had us craving icy cold coffee at home so we have started making our own quick and easy version. Friday nights before bed we prep some homemade almond milk and cold brew coffee concentrate to see us through the weekend. This involves placing 1 cup of almonds in a jar and covering with water and adding 1 cup of ground coffee to 4 cups of water in another jar. Put both jars in the fridge and leave overnight. In the morning rinse the almonds and blend with 3.5 cups of water, a dash of vanilla, cinnamon and 2 dates. Strain the almond meal with a muslin cloth or nut milk bag and keep in the freezer for use at a later time. Strain the coffee grounds and discard (or sprinkle around your balcony blueberry and fig trees like we do). Mix half a cup of almond milk with half a cup of coffee concentrate. If its a super hot morning we blend some ice cubes with the mixture in a magic bullet. If you like your coffee strong then freeze some ice cubes with coffee concentrate and use those instead of standard ice cubes. Your coffee wont get watered down this way. If you like your iced coffee with a bit of sweetness dissolve some honey or rice malt syrup in a small splash of boiling water and add that as well. Real Food Projects are running a pop up cooking school throughout July. We went along to the Cheese Making class with local cheesemaker Kristin Allen. She makes the cheese for Cornersmith amongst other eateries and also hosts ricotta, labneh and yoghurt making classes at Cornersmith every fortnight. You guys. Ricotta is really easy to make. Did you know you can make a hard cheese ricotta. Kristin brought along some of her own that she had made that were up to a year old. They were really salty and you could use it in place of a parmesan. She also whipped up a tasty ricotta cream and a delicious baked ricotta. Real Food Projects are planning another pop up cooking school in 2014 so keep an eye out. We missed out on the Pepe Saya Butter Making class this time around and wont be making that mistake again. Balmain’s newest hipster haven The Workers launched its weekly comedy night this week curated by yours truly. The Workers pub is located on Darling St in Balmain in the old Labour Party headquarters. 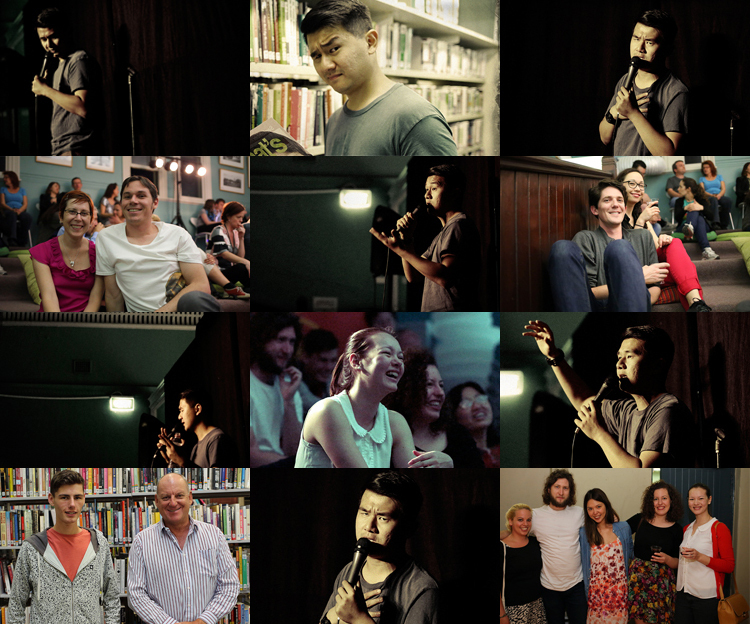 Its run by the Riversdale Group who we collaborated with last year to bring a comedy program to The Standard in Surry Hills. The Workers presents free comedy every Wednesday night as well as cheap beers and even cheaper tacos. For just $3 each, The Workers more-ish tacos include “Nemo Ganzales” – Battered blue eye, slaw, salsa pico de gallo and baja sauce, “Shrimp on da Barbie” – Grilled marinated prawn, slaw, mojo verde and scallions, “Soft Shell Coq” – Grilled chicken, slaw, salsa guacamole and chipotie mayo and the “Pulled Porky Pig” – slow cooked pork shoulder, red slaw, pico de pina asado and coriander. We kicked off the comedy this week with Cameron James and Jarred Jekyll, Ray Badran and Jacques Barrett.